I have been using Cura slicing software for a couple of years now are very satisfied with the results. However yesterday i tried to printing a auger with two different increases, and half of it looked fine but the other half was very fragile. 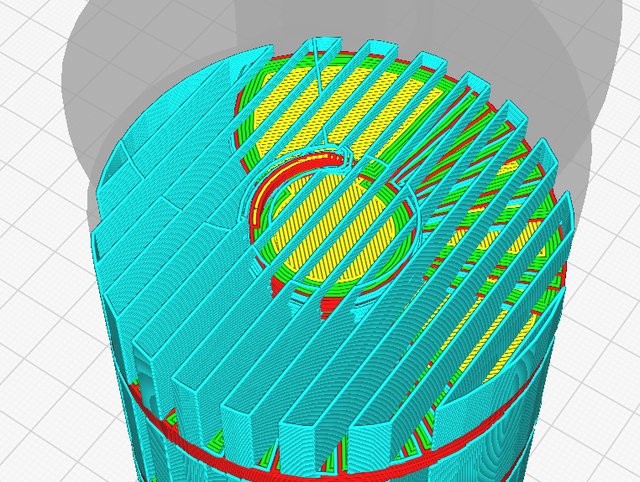 When i looked at the layers inside the slicer i spotted that on some layers the support was inside the printed element. Can somebody tell me what I have configured wrong in my configuration to end up with this result? The model has all sorts of STL errors. Basically, it is not watertight. 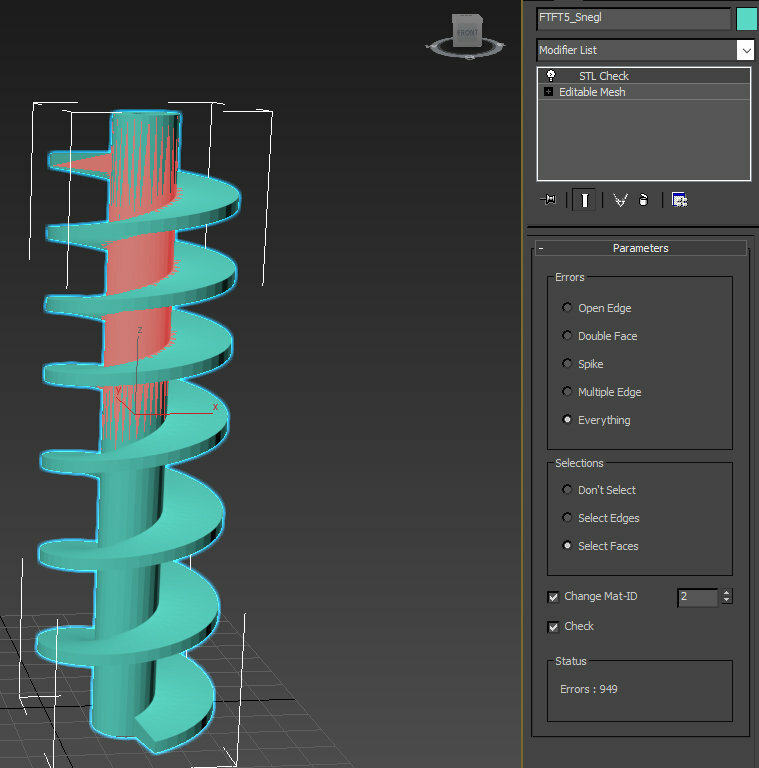 Here is a pic of the STL Check I ran in 3DS MAX. What this does is prevent the slicer from detecting a true inside and outside, therefore putting support everywhere. I am going out on a limb and guessing this is another Sketchup file. I am not using Sketchup, but I am using freecad to make the 3D models in. But now I at least know where the root cause of the problem is. 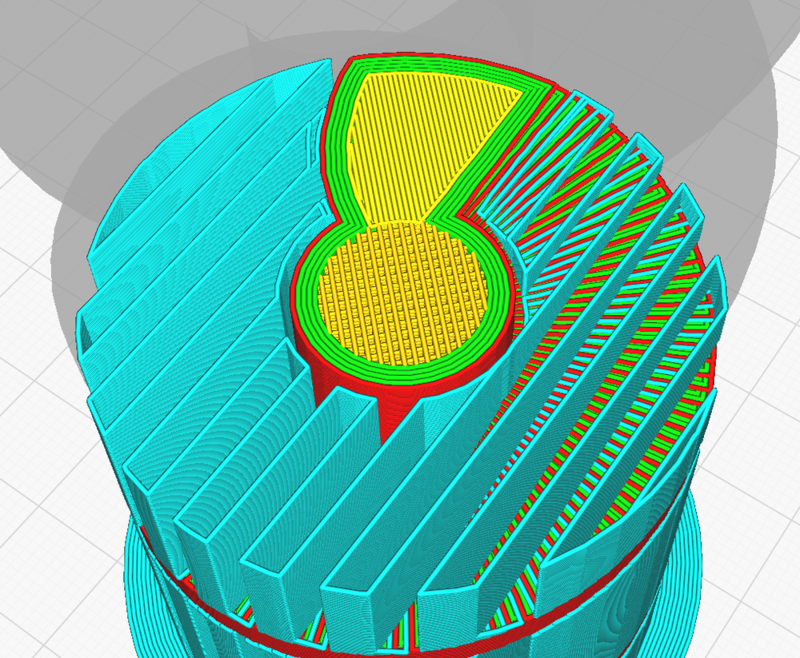 Can any of you recommend a tool to validate the stl files with? I thought freecad had a better reputation than this seems to present. I haven't used FreeCAD for STL-export, so I can't comment on this specific issue. Did you make this screw by combining a rod and a spiral? If so, try again with a royal overlap? Thanks for the suggestion on let the parts overlap when making a union. Yes the part is made by a union of a rod and a spiral, and in fact i had some problems in making a union of them in the beginning, and I solved it by let them overlap as you suggested. After that i could make a union of them without any errors, and then I thought the problem was solved. Thanks for the link to the validating tool, I will use this tool to try to find the reason for the error that I am seeing. I think that I am doing something wrong, rather then there are an error in freecad. Another thing that just comes to my mind: did you export it to STL as a solid, or as a bunch of separate surfaces? I don't know what the mathematical difference is, but in DesignSpark Mechanical there is such an option: "Connected Mesh" vs. "Simple Mesh". Maybe in FreeCAD too? i'm using freecad, yes try to male "part union" before stl export, often you get a different (normally better) result.